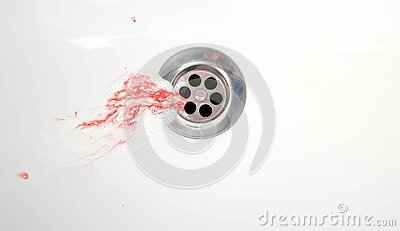 Toothpaste with blood in a ceramic sink. Bleeding gums. Close up.